In all the math you have done in your pre-GMAT life, the goal has usually been to simply find the answer. In grade school math, high school math, and introductory college math, you are tested and graded on your ability to find the specific numerical answer to a question. 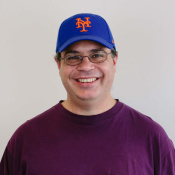 If you’ve earned any advanced degrees in mathematics, you know that the find-the-answer mentality, as well as numbers in general, recede as you ascend into higher mathematics. 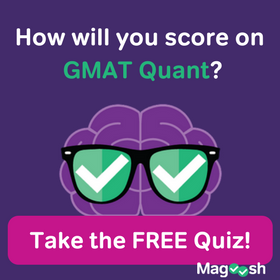 For most people, though, the last math that we learned before coming to the GMAT probably revolved around find-the-answer. 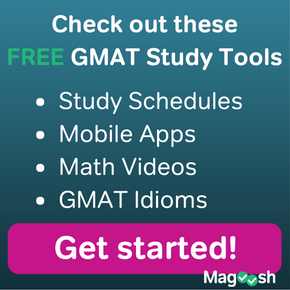 GMAT Data Sufficiency requires that you shift your paradigm. In the Data Sufficiency questions, unlike in your previous math classes, you are not fundamentally being asked to find the answer. Rather, you are simply being asked the question: do you have enough information to answer the question? In other words, if you needed to figure out the answer, would you have enough information to do so? Why does the GMAT ask Data Sufficiency questions? First of all, Data Sufficiency tests your ability to gauge relevance – if I want to know A, is it relevant to know B? In the business world, if you want to know the price or cost or value of one thing, it may be important to be able to figure out whether knowing the price or cost or value of another thing would be relevant. (1) what is the actual answer to problem X? (2) do we have enough information to answer problem X? The first question may involve specific expertise, depending on the nature of the problem. In the real world, such a question might be delegated to an engineer, for example. The second question is more a manager’s question — a manager needs to decide whether the problem can be solved and, if so, to whom to delegate it. Insofar as you are planning to take the GMAT and go to business school, you are planning a career as a manager, which is all about delegating, about decision-making, about deciding which paths would be fruitful to explore and which would not be. In this sense, I would argue that GMAT Data Sufficiency test skills are at the very heart of what it means to be an effective manager. If you are new to this question, take heart! 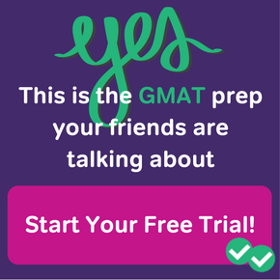 It will take a little practice to familiarize yourself with the format, but, once you gain experience, you will see that GMAT Data Sufficiency is no harder than ordinary problem solving — indeed, in some cases, it’s considerably easier.